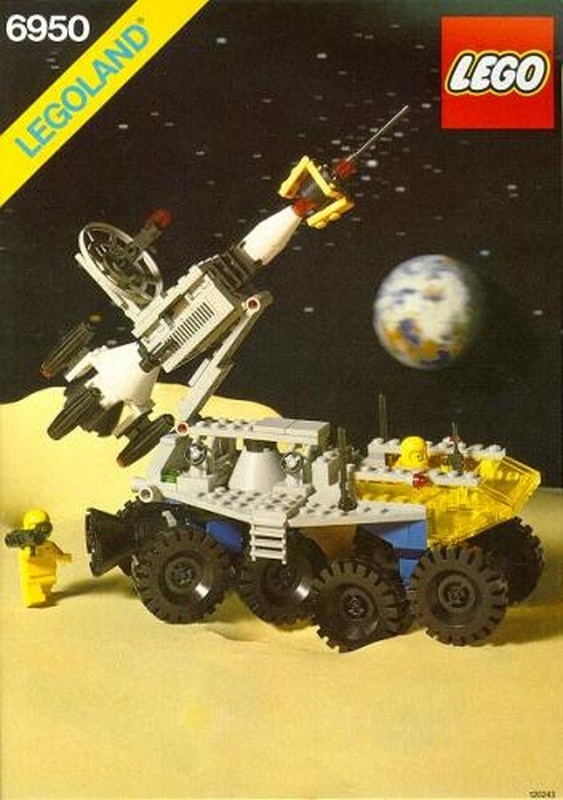 When I was a kid Lego was great. It was all basic bricks. Nowadays it has too many specialized parts and doesn't require any imagination whatsoever. Why don't they just sell basic bricks anymore? There are variations on it. People's criticism is sometimes limited to so-called single-purpose pieces, such as a one-piece truck cab/windshield, but often extends to other pieces, such as hinges or slopes or even the minifig accessories. There are so many problems with what these people are saying. First of all, most of the people saying this grew up in the 70s or 80s and those years were full of Lego kits that used almost no basic bricks. For example, a kit I received when I was 5 was the Mobile Rocket Launcher which featured two spacemen on a spacey all-terrain vehicle which carried a rocket that had a satellite on its nose. Most of that kit was not bricks. It was still awesome. 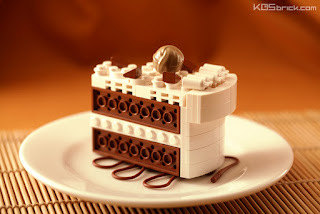 There have always been "specialized" non-brick Lego pieces, from steering wheels and seats and minifigures and their accessories and tires and fences and doors and windows, to brick-like elements that are different from standard bricks: slopes, corners, tall bricks, thin plates, tiles (plates with no studs), hinges, bricks with claws or other attachments, and bricks with studs on the sides. Lego makes new elements all the time, but it's simply false to claim that when you were a kid these things didn't exist. For example, in 1961 this car was new. In 1962 the plates, or 1/3rd bricks, were introduced. In 1964 the 1x4 brick was introduced. 1970 saw a number of new parts useful for trains. The list goes on, but I think this is enough to demonstrate that Lego has always tried to make more than just basic bricks. Anyone who remembers that there were only basic bricks is misremembering. The second big problem I have with what people are saying is regarding the supposed harm these specialized pieces do to creativity. Generally, people claim that because you have a piece that's purpose-made to be a door, this means you no longer have to use any imagination whatsoever. What a load of nonsense. All you need to do is look at the incredible array of things people have made and posted on the internet. There are countless amazing creations, from tiny to huge ones, that display a wonderful amount of talent and inspiration and creativity. All of these creations are made from the vast palette of standard Lego pieces that have been released over the years. Nobody asks an artist to paint with just one colour, why would you ask your kid to build with only one kind of brick? This picture, of a chocolate cake, shows just how much you can do with the right creativity. The decorative edge of the cake is made out of spaceman airtanks (1978); the chocolate chips on the top are 1x1x2/3 slopes (2004); the mousse is a turban (2001); the side icing is made of curved slopes (2008); the drizzled icing on the plate is a minifig's whip (2010); the chocolate cake is made out of 2x8 plates (1958), but attached studs-in. It is, in my opinion, a perfect example of a well-executed creation, with excellent parts use. When you were a kid, and you held a tiny Lego spaceman in your hands, did you ever think that the airtanks could also be icing? If you didn't, is that because Lego stifled your imagination? These days, Lego sells a huge assortment of products. From castles to trains to super-heroes to Star Wars or other movie licenses to Technic and Mindstorms, not to mention the basic City line. It also has fan-submitted kits such as the Ghostbusters Ecto-1, advanced kits such as the Mini Cooper, and the wonderful Modular Buildings. There are tiny kits and huge kits. Every one of these kits is a chance to get new parts, or old parts in new colours. Every one of these kits is a chance to build what's on the box, and see how Lego is making kits these days (building techniques have changed drastically in the last 20 years). Every single kit is a chance to build something entirely different than what's on the box. Find the kit that's right for you, and build something.